Hart Jiu Jitsu, Kickboxing and Mixed Martial Arts AcademyAbout Hart’sTeam Hart BJJ: Balance Beginnings. Tim Hart started Gracie jiu jitsu training, with Phil and Ricardo Migliarese of Balance Studios Gracie Jiu Jitsu, MMA, Self Defense & Yoga, in Center City PA. After taking a few trials at other schools in the late 90’s and early 2000 before Balance. Timothy heard the Migliarese brothers opened a school in Center City. He and a good friend immediately took a train 30 minutes away and waited for the doors to the jiu jitsu academy to open up. There were other martial arts students that had already enrolled into the Balance academy waiting as well. They quickly struck up BJJ and training conversations with excitement. There and then Tim, knew he had just made a great choice and would in time have made lifetime friends. As the doors opened, up the steps the group went and everyone was greeted by a smile and a handshake. The jiu jitsu class was taught, training partners trained jiu jitsu and the smiles were as abundant as the sweat loss, from the exhausting and fun training. That was the day Tim, chose to make jiu jitsu his lifestyle choice. Timothy quickly moved through the BJJ belt rankings under the training and guidance of numerous training partners/ teammates, earning his BJJ Brown Belt in only 3 and a half years of training. 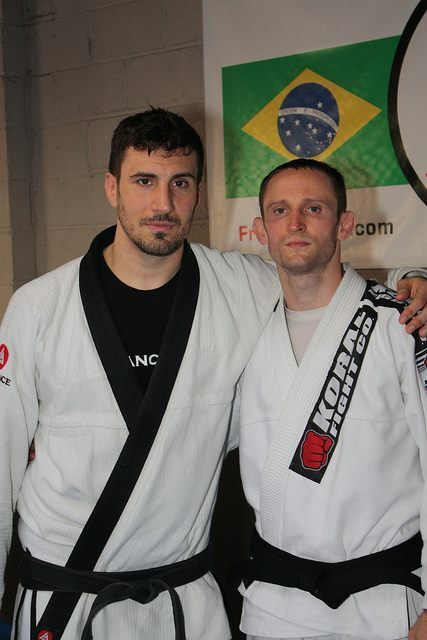 Timothy is currently a Gracie Jiu Jitsu Black Belt under Phil and Ricardo Migliarese and has now dedicated over 12 hard, tested years of BJJ training/ instructing and continues to share the jiu jitsu lifestyle and martial art with everyone.